Really large and spacious flat with a luxury kitchen - diner, a large separate living room and seperate bathroom and seperate bedroom with double bed. Ideal for a Couple or an Indvidual with real style and taste. Phone for Availability. [Please quote the reference No. at the top right hand side of this page]. Choose from 50Mb - 200Mb WiFi, for a competative additional price. 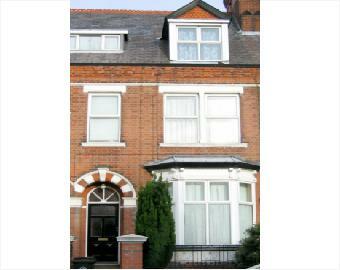 1 BED LARGE FLAT - Hinckley Rd. *Note. Images of internal room shots are for guidance only, each flat is individually decorated and furnished. ?Note. Virgin Media Terms and conditions apply, subject to fair use policies, speeds quoted are "up to" speeds. *Note. 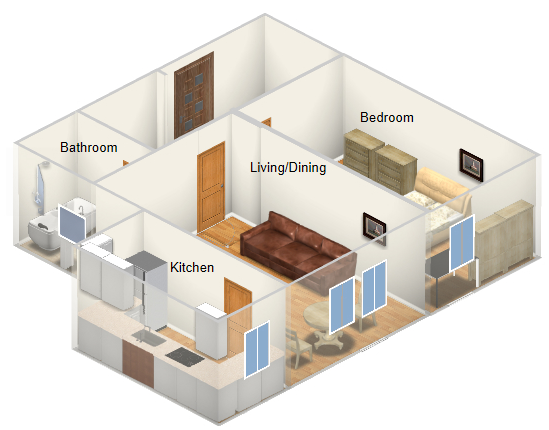 Floor Plans are intended to give you an idea of the layout , they are not scale drawings.